It’s mid-January in Dufton, Cumbria, and I’m woken up by my alarm at 5am. I’m sleeping in the back of our converted camper van, and today’s itinerary includes climbing Cross Fell in the half light of morning, and hopefully reaching Hadrian’s Wall around midnight. 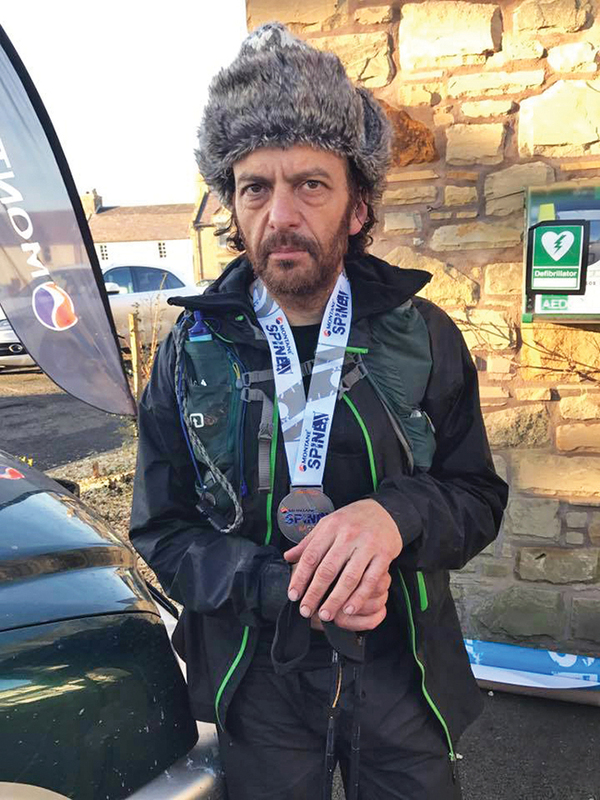 I am about halfway through the Spine Race, a non-stop 268 mile footrace along the Pennine Way from Edale in Derbyshire to Kirk Yetholm in Scotland. 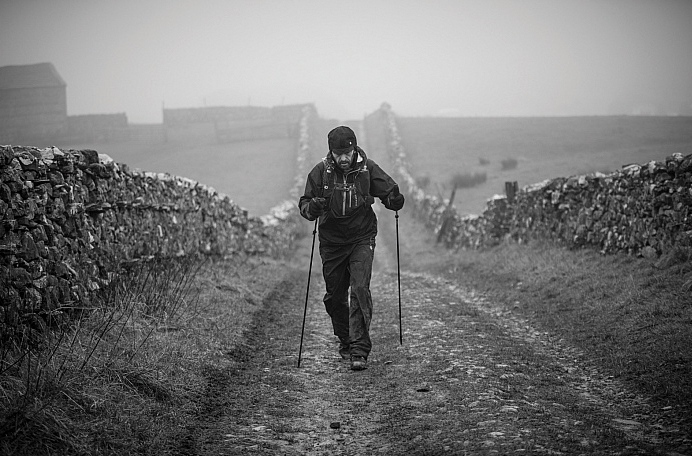 It’s called ‘Britain’s Most Brutal Race’, and it attracts experienced ultra runners from around the world. 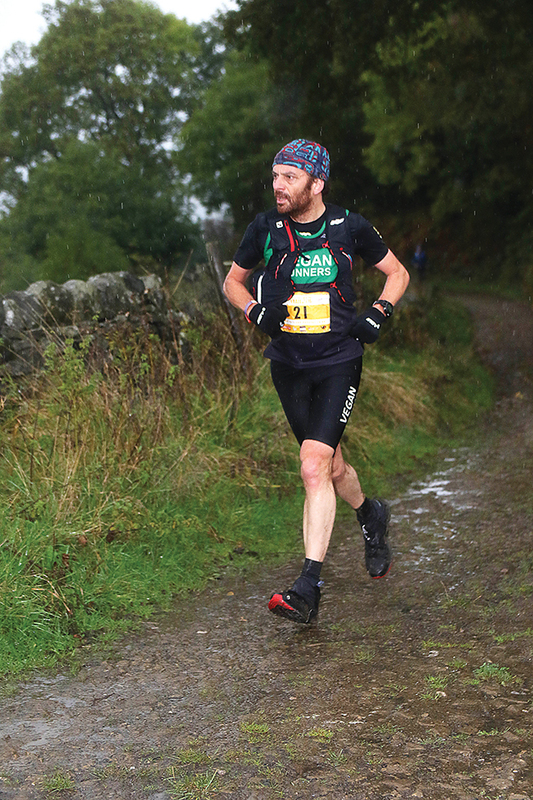 I am one of 120 competitors hoping just to survive running up to 60 miles per day through rain, mud, bog, hills and fog. Most of us get by on 2-3 hours of sleep per night. The question I get asked most often is why I would want to put myself through something like this? I have come to the realisation that if you ask the question, you probably wouldn’t understand the answer anyway. So I don’t really try to explain things any more, instead I just focus on making the most of the experiences I have in these events. I have been competing in long distance running and cycling events for close to 20 years now, including 11 marathons, road cycling at elite level for several years, taking third place in the national 24-hour time trial championships, completing the 2,200 mile Transcontinental Cycle Race from London to Istanbul twice, as well as finishing a number of ultra marathons and mountain races. But, up until a couple of years ago, I’d always followed a so-called ‘healthy diet’, i.e. some meat (mostly chicken or lean red meat), dairy products, eggs, cheese and lots of carbohydrates, the type of diet endurance athletes have been used to following for decades. While I had always had the strength and determination to compete at a reasonable level, I’d sometimes found recovery difficult, especially with running. In the past I had been lucky to be able to run more than 20 or so miles without suffering for days afterwards, and I was prone to injury. Then, in 2014, I was really fortunate to meet my partner Georgina while I was preparing for my first attempt at the Transcontinental Race. Georgina is a trained macrobiotic chef and food expert and she eventually convinced me to change my diet to a macrobiotic vegan one for increased endurance and better recovery. I admit I was fairly sceptical for some time, but as I gradually transitioned to a plant-based, wholefoods diet, I found a number of remarkable things started to happen. Firstly, I was able to run up to 80 miles per week in training, for weeks on end, without any muscle soreness or injury. Also, I was sleeping much better, my sinus issues cleared up and my mood swings went away. And so my horizons of what I thought were possible began to expand. In February 2016, I put my name down for the Spine Race, which is one of the toughest running races in the world, with only about 50% of entrants making it to the finish. Georgina was just as enthusiastic about driving along to support me in the van as I was in running the distance. Mentally I was prepared for the prospect of not making it to the end, as I knew fully well that at age 49 I was towards the upper end of the age spectrum, and that even if my mind was strong, my body might give up at some point. But Georgina’s steady stream of delicious meals, including miso soup, tempeh, sweet potato chips, aduki bean burgers, quinoa porridge, raw kimchi, brown rice and nut butters to take along the trail allowed me to finish strong. I was back in training a week later. Five-year-old activist needs YOU to join her plastic pick up crew!